Rich in jojoba oil and organic iris rhizome extract, your skin is soft and protected all day long. 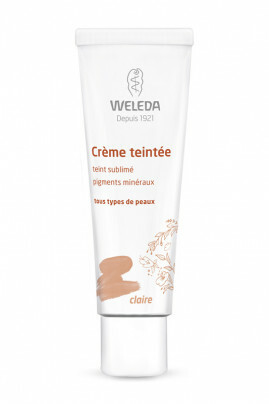 Weleda Vegan Tinted Face Cream is perfect for those who want to have a fresh, radiant and natural complexion. Fall for its subtle fragrance of vanilla, ylang ylang ylang and geranium! 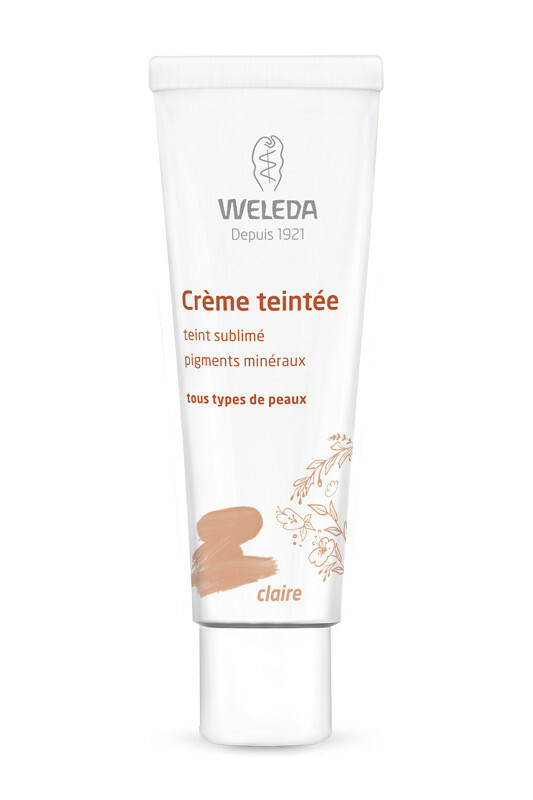 For a natural, fresh and radiant complexion with WELEDA Face Tinted Cream! Take 4 hazelnuts of WELEDA Tinted Cream and spread it over the face: forehead, nose, left cheek and right cheek. Spread the cream with your fingers, starting at the centre and stretching towards the contours. Do not hesitate to add more product for a better coverage. You can also use a foundation brush. You can also combine light and medium shade to create the shade that suits you best. Natural composition of WELEDA Tinted Cream for Face !